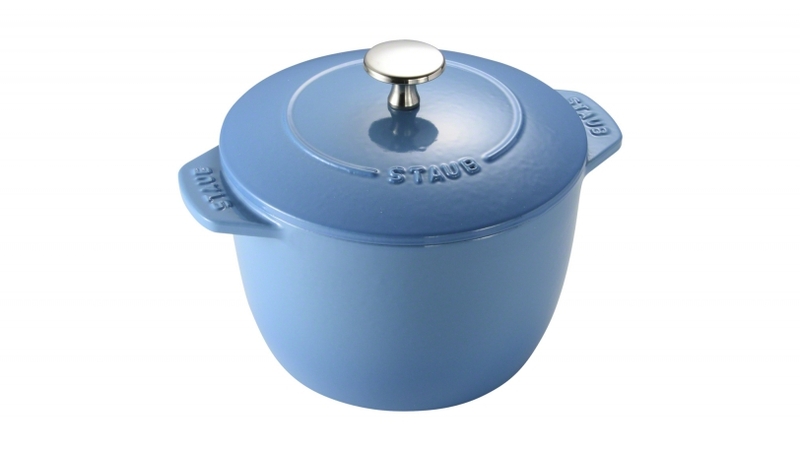 New Gohan, or rice cocotte from STAUB, in limited edition Ice Blue. Ideal for perfectly cooked rice every time. Slow, even heat distribution of the cast iron and matte black enamel interior helps to prevent burning and sticking. Just the right size to share for up to four people, remove the lid and serve at the table.